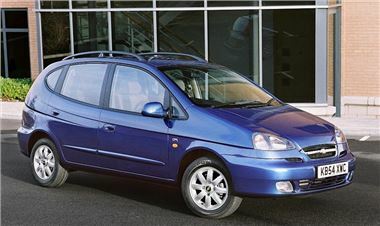 Motorpoint is selling new Chevrolet Tacumas for just £6,999 - some £4,188 off list price. The car supermarket giant has a selection of the compact MPV with delivery miles available. This particular model comes with metallic paint as standard. It also has the new Chevrolet Tacuma 1.6 SX 5dr with leather for only £7,599 - some £3,588 off list price. What's more anyone purchasing the Chevrolet Tacuma using in-house finance is eligible for up to three year's worth of RAC Breakdown Cover (worth £250) absolutely free of charge.